As a chilling presentiment of what would happen within a year — jail, and oblivion — it’s almost too contrived: a novelist might have rejected it. 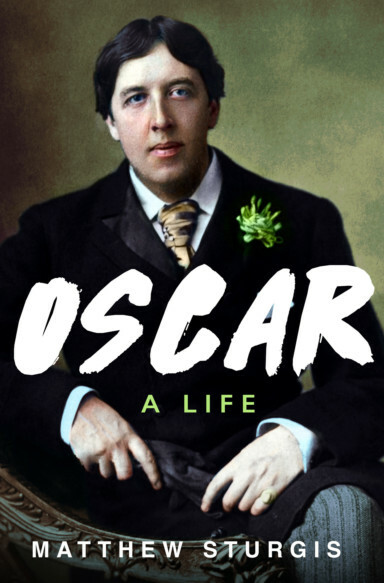 But then so much of Wilde’s life does read like a novel, with its crowded social fresco, its careful pacing of highs and lows, its entrances and exits, its destiny waltz of hubris and nemesis — and, at the centre, its dazzling protagonist. Matthew Sturgis hasn’t the style of a great storyteller — the tone of this new biography is stolidly impersonal — but he is a tremendous orchestrator of material, fastidious, unhurried, indefatigable. 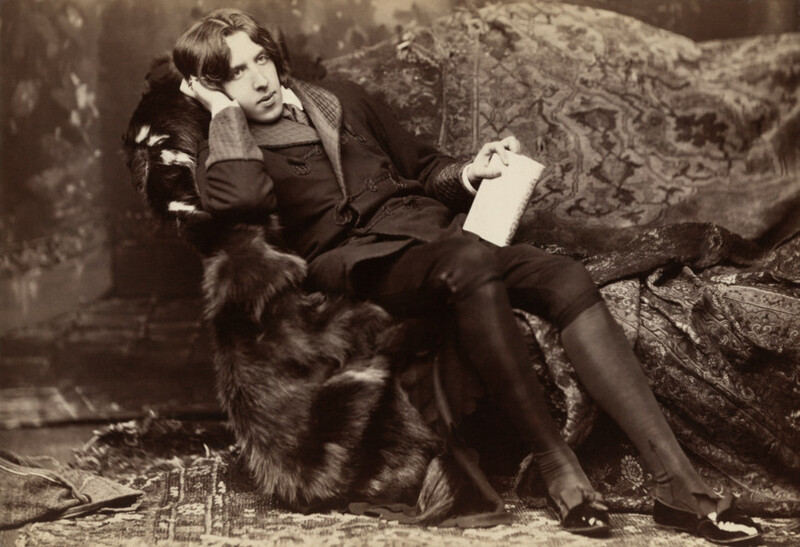 Do we need a new life of Wilde? He thinks so; the last major biography, by Richard Ellmann in 1987, took a literary critic’s approach, to the detriment of the facts and chronology of Wilde’s life. It was strewn with errors, and tended to blur truth and legend — something Wilde himself often connived at. Sturgis, armed with new discoveries such as a full transcript of the libel trial, an early notebook and previously unknown letters, aims to return the man “to his times, and to the facts”, to lend the life “a sense of contingency”. At 720 pages in my edition, with a further 137 pages of endnotes, that may be rather more contingency than your average reader can handle. But Oscar repays the effort, even for those who have read the Ellmann and the earlier biographies by Hesketh Pearson and Montgomery Hyde — and all the letters. I’m not sure if I already knew certain details about the early life, but I was glad to be reminded, for instance, of how close the teenage Wilde came to joining the Roman Catholic church (and was disinherited on account of it by his half-brother); of how, as a student at Oxford University, he was inducted into the Masons in 1875; of how he joined John Ruskin’s road-digging enterprise in the village of North Hinksey and learned how to push a barrow along a plank (“very difficult”). Most startling of all (Ellmann mentions this, too) was his early ambition to follow the example of Matthew Arnold and become an inspector of schools. We must credit providence that the board turned him down. Physically unprepossessing — overgrown, clumsy, “slab-faced” — he was nonetheless a magnetic presence, and in his fledgling days in London as high priest of the aesthetic movement he endured chaffing with “remarkable nonchalance”. On his year-long lecture tour of the US he didn’t always meet with acclaim, or even a civil welcome — a woman in Washington advised him to “wear your hair shorter and your trousers longer”. Back in London he made an advantageous marriage to Constance Lloyd, an heiress, sired two boys and gravitated to the centre of society’s “swirl and whirl”, borne on his gift for talk and his burgeoning talent as a playwright. Arguably the turning points of his life were twofold: his meeting in 1886 with Robbie Ross, who initiated him in homosexual desire and the dangerous enchantments of a double life, and his later introduction to Alfred Douglas, AKA Bosie, whose vicious feud with his father, the 9th Marquess of Queensberry, became the millstones between which Wilde was helplessly ground to dust. The story of his fall continues to hold and haunt, enclosing as it does a double mystery. The first is his devotion to Douglas, whose cruelty, recklessness and near-insane bouts of rage threatened to alienate Wilde for good yet never did. Can it be explained? Cyril Connolly thought it was exactly Bosie’s failings — “this invulnerable rival egotism” — that kept Wilde on the hook. He may be right. The second is the enigma of Wilde’s refusal to flee once Queensberry and his hired detectives had him cold and a conviction surely beckoned. “Everyone wants me to go abroad,” said Wilde, seeing no use, “unless one is a missionary…or a commercial traveller”. Sturgis thinks there was a strain of defiance in his staying put, though “inertia” probably contributed, too. He may have been resigned to his fate and become “almost an observer of his own catastrophe”. One might further speculate that Wilde saw martyrdom as an unavoidable part of his own narrative. His famous line about putting his talent into his work and his genius into his life was possibly more fatalistic than we know. Nothing in his work, not even The Importance of Being Earnest, could match the perfect story arc he might make of his life, just as he knew that nothing he wrote would ever surpass the evanescent brilliancies of his conversation. Unfortunately the life went off on a script of its own. Two years’ imprisonment for gross indecency was not something he, or indeed anyone else, had bargained for. Life let him down in other ways, usually to do with money. Generous to others when he was in funds, he was an unapologetic scrounger in his continental exile and estranged friends with his ingratitude. Even Ross, his closest companion — I still can’t read without welling up the story of him “gravely” raising his hat to Wilde as he walked the gauntlet of the bankruptcy court — sometimes bypassed Paris to avoid a meeting with him. Perversity, a vital element of the Wilde persona, would later prove an enemy.